The council also applauded the president’s acknowledgement of the risks posed by cash-strapped power utility Eskom. The council also welcomed Ramaphosa’s commitment to fighting corruption and state capture, including the intended establishment of a special unit in the National Prosecuting Authority to deal with serious corruption, during the speech delivered on Thursday evening. It said progress had been made in creating more regulatory certainty for the mining sector, citing in particular a new charter, but added that some issues still needed to be resolved, including “recognition of continuing consequences of past transactions in respect of the renewal of mining rights”. 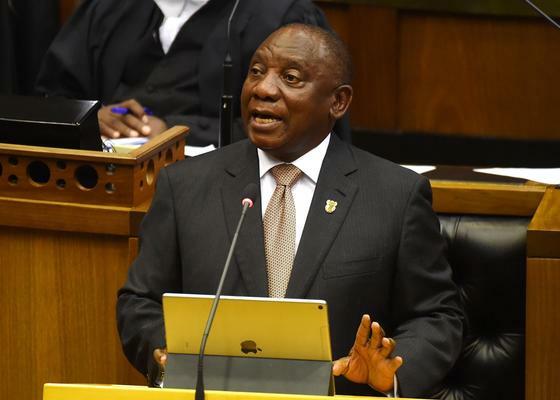 The council, which represents major companies operating in South Africa, also applauded Ramaphosa’s acknowledgement of the risks posed by cash-strapped power utility Eskom, urging the government to take bold moves regarding the entity. “We look forward to understanding how government proposes to resolve Eskom’s debt challenges without placing irreparable pressure on South Africa’s fiscus,” it said.